Preston Innovations Match Luggage There are 6 products. 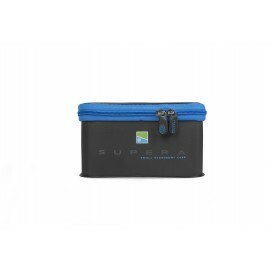 The perfect solution for keeping bait cold and fresh! Made from, high quality EVA with an internal lining for protection, the bar is also large enough to house 3 pint bait tubs. It’s designed to fit into the Medium Accessory Bag if required.